IWH from Blog to Website! 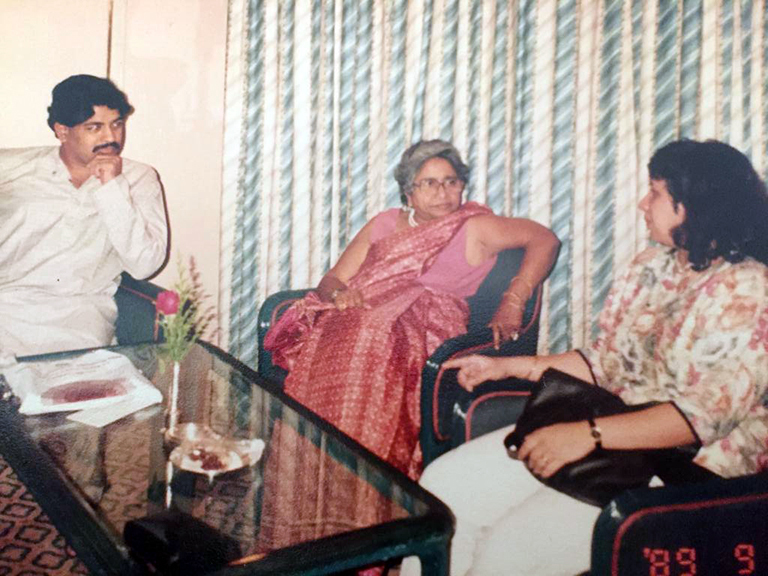 Ms. Thangam Elizabeth Philip is regarded as the pioneer of hospitality education in India. Known as the diva of hospitality industry, she was an epitome of discipline; agreat teacher who knew every student of hers by name. Even after her retirement,whenever an ex student met her she could quote his or her year of graduation from the institute, such was her memory.She was empathetic, upheld great moral values and good judgment. Outwardly she acted tough but there wasalways a genuine concern for improving one’s attitude towards teaching and learning. On the three occasions that I met her and had the fortune of serving her, she exuberated an auraof authority and grace. Wherever I went, when I spoke of my alma mater, people asked me about Ms. Philip -that’s the respect she commanded. To write about her I contacted people who had worked with her and knew her well, they were professors who taught me and many others graduating from the portals of a great educational institution, IHM Mumbai. Chef Vernon Coelho, Mrs. Mercy Mathew, Mrs. Avril Sule, Chef VK Iyerand Mrs. Aileen Sequeirashared some great insights about her personality. Of all the people I have written about, this one is aninspiration to me; anode toa lady who was in a league of her own. She never settled for jobs not done to perfection. She took rounds of the Institute while the classes were going on and would enter the kitchens to check on staff as well as the students. She insisted on food from the Quantity Food Kitchen be sent to her so that she could find out what the majority of the students were being served. She would dine once or twice a week at the restaurant to taste the food prepared by the Third-Year students and also to experience and asses the serving skills of the students. She would randomly check the journals of students and would insist on the staff showing her the answer papers of failed students as well as the top fivewho scored the highest in the respective subject. She took special interest in celebrating Christmas and Onam at the institute. She promoted theweekend trade fairs, which were annual events held in December. People loved coming to theseandthey became great social eventsin Mumbai. Students loved working in the stalls and selling the products that they made and there was great showmanship and pride. She was very particular about the dinners and events that were held. It was an era whenthe industry as well as the profession was being built, one step at a time. Nutrition was very close to her heart – every week the second year students along with the staff in charge used to visit the slums of Mumbai and conduct demonstrations on how to cook economical and nutritional meals. A van was dedicated to this cause, that was so very apt and the need of the hour. She never gave into political pressures as the head of the institution. One political leader came on an Onam celebration day to stop the function saying that there was shortage of rice at that time and it was acourt order not to serve it. However, prior to the event, she had already secured a permission from the court to allow the program to happen. She cited the reason to be a requirement for the students who graduated to have knowledge of regional cuisine. She had excellent foresight and vision; she planned well in advance. 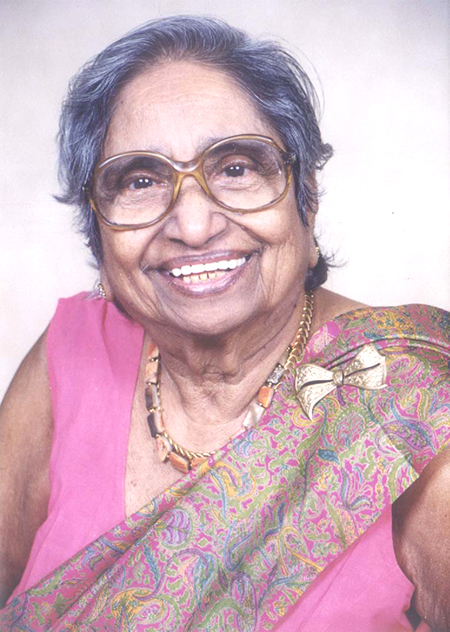 Padma ShriThangam Philip was also a Ceres awardee, putting her in the league ofIndira Gandhi and Mother Teresa. 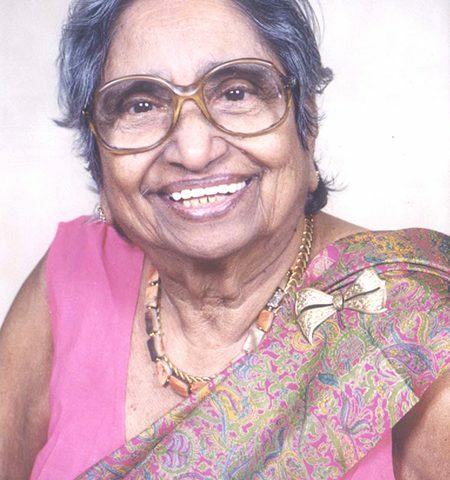 Ms. ThangamE Philip was born on 12 May 1921 at Kozhikode in Kerala. After graduating from the Women’s Christian College, Chennai, she completed her post graduate diploma from the Lady Irwin College, Delhi. She secured herMS degree from USA. She was a well known nutritionist; she started her career by joining the faculty of Home Science at St Thomas School Kolkata, where she worked for a short time. She moved to Sri Lanka in 1949 to work at Southland Methodist College where she establishedthe Home Economic department. Ms.Philip returned to India in 1950 and accepted the invitation of the Ministry of Agriculture to manage one of the cafeterias under the brand name, Annapurna that servedsubsidised food to the middle class. 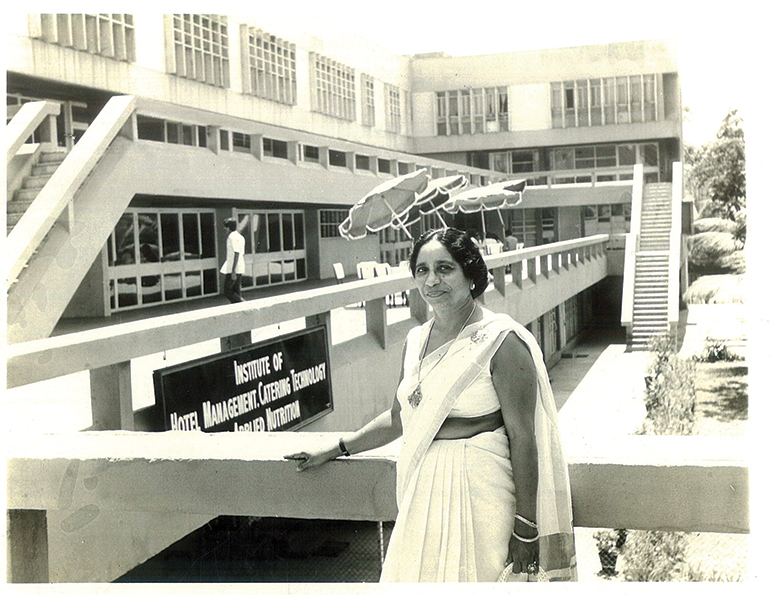 In 1954, she shifted to Mumbai and joined the Institute of Hotel Management, Catering Technology and Applied Nutrition when the college was established in that year. She did many radio and television programmes and visited USA where her programmes were telecasted. In 1961, after her return from the US, she was appointed as the principal of IHM Mumbaipopularly known as the Dadar Catering College. She also started writing articles in the periodicals and opened a cookery programme at the All India Radio. When the Food and Agricultural Organization launched the Freedom from Hunger campaign in 1963, Ms. Philip joined the campaign and contributed greatly. Shealso participated in the inaugural program of the Young World Assembly held in Athens in 1965. Ms. Philip has authored several books on the hospitality industry and culinary. Her two volume works, Modern Cookery, Book for Teaching and the Trade, is a prescribed textbook in IHM curriculum. One of her books, Thangam Philip’s Book of Baking is a work written for the Ministry of Tourism. She was involved as a consultant with several projects of UNDP, Food and Agricultural Organization, International Labour Organization and the Government of Kuwait. She served on the boards of many hospitality enterprises and organisations such as Air India, Indian Institute of Tourism and Travel Management, Sterling Holiday Resorts (India) Limited and Kamat Hotels. After retirement in 1986, she returned to her native place Pallom, at Kottayam district in Kerala. She continued with her research from her home there.Ms. Philip died on 28thJanuary 2009, at the age of 87. Ms. Philip was a fellow of the Hotel Catering and Institutional Management Association, HCIMA UK, Cookery and Food Association, CFA UK and served as a member of the Royal Society for Public Health, UK. The Food and Agricultural Organization honouredher with the portrayal on the FAO Ceres Medal; a commemorative coin was also issued with her image in 1975. She received the Padma Shri, the fourth highest civilian award from the Government of India in 1976. The Government of France awarded her the Knighthood of the Order of Cordon Bleu Du Sant Esprit in 1982. She retired from IHMCTAN in 1986, after which she was made the Principal Emeritus of the institute. She was also a recipient of the Firestone Award from the Indian Association of Occupational Health.